It’s Scottish Junior Cup third round day on Saturday with sides up and down the country taking what they hope will be the next step along the road to glory in the junior’s games ‘Blue Riband’ trophy. East Superleague giants, and four-time winners, Linlithgow Rose are always among the favourites and Davie McGlynn’s men will be strongly fancied to dispose of Cumbernauld United on home ground at Prestonfield. However Rose - winners in 1965, 2002, 2007 and 2010 - will be taking nothing for granted against John Queen’s in-form West Super League First Division side who, after a shaky start to the season, have won their last six away games in league and cup, scoring 31 goals in the process. Although they play in different regions, the match between Kilsyth Rangers (winners in 1955 and 1967) and Camelon Juniors (1995 winners) at the former’s Duncansfield stadium is virtually a local derby. Kilsyth, who won 3-2 when the sides met in a pre-season friendly, have enjoyed their best start to a season in years and are sitting third in the Super League First Division table. But Camelon have also been on a good run in the East Superleague recently, although that came to an end last week with a 3-0 defeat at defending champions Kelty Hearts. One of the round’s top ties could be East Region powerhouses Bo’ness United’s trip to face West Super League title chasers Troon. Fans of Bo’ness - three-time previous winners in 1948, 1976 and 1974 - will need no reminding that they have a terrible record against Ayrshire sides in the competition in recent years and Allan McGonigal’s side will be desperate to put that right. There’s also a battle of Central Region league leaders with First Division table toppers Rossvale travelling to face Second Division pacesetters Lanark United. Martin Lauchlan’s ‘Vale side have hit the ground running since being promoted from the Second Division last season, but could face a tough test against John Brogan’s Lanark who only went down 3-2 at Kilsyth in the West of Scotland Cup last week. Dunipace have a mountain to climb with an away match against former winners Arthurlie (1937 and 1998), as do Falkirk Juniors at 2014 winners Hurlford United, while Carluke Rovers take the road to Dundee to face Dundee North End. Two Fife sides are up against Ayrshire opposition. Tayport, winners in 1996, 2003 and 2005, play host to Muirkirk while Dundonald Bluebell have a trickier looking task away to Cumnock, another club who have previously lifted the trophy in 1979 and 1989. 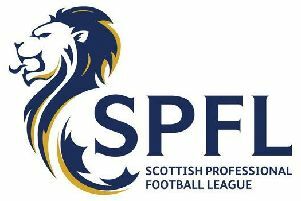 Other Fife teams in action include 1975 winners Glenrothes, at home to Rosyth Recreation, and Kennoway Star Hearts who travel through to Glasgow to face St Roch’s. Also in Glasgow, triple winners Pollok, who lifted the trophy in 1981, 1985 and 1997, should progress at the expense of Royal Albert in a match which, although Royal Albert’s home match, is being played at Pollok’s Newlandsfield ground. Carnoustie Panmure, winners in 2004, have also made it through to the third round and are at home to Livingston United.